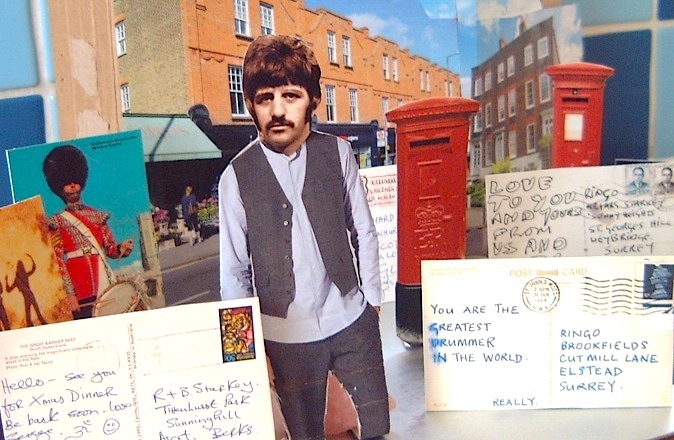 He wrote a lot of postcards to Ringo Starr. He sent them during the 1960s, when they were both part of the world’s greatest pop band, and during the 1970s, after business wrangles had torn the band apart. Starr was also the serial recipient of cards from his old friends Paul McCartney and George Harrison. 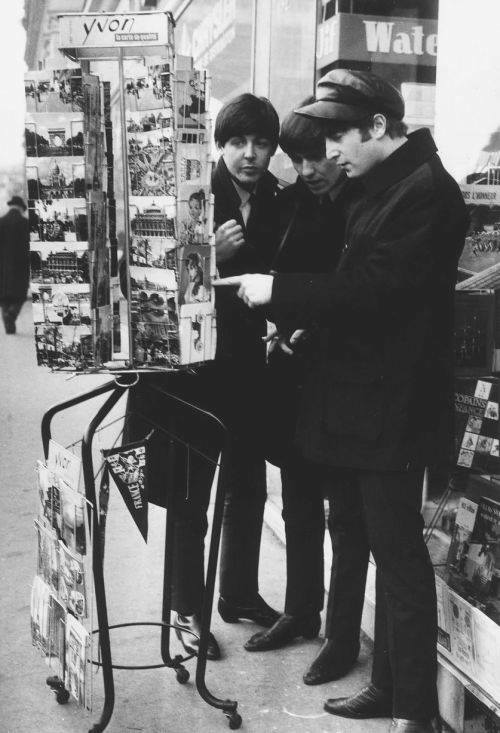 He’d happened to mention that he loved postcards – and, just as audiences threw volleys of sweets after they heard George was partial to jelly babies, the drummer was soon on the receiving end of sackfuls of holiday correspondence. John, Paul and George enjoyed shopping for postcards (as the photograph below confirms), and they loved sending them to Ringo. Cynics will say that shelves all over the world are already collapsing with the weight of Beatles books. They will argue that after the release of the band’s gargantuan Anthology project, and the recent reworking of the Let It Be album, the Beatles barrel has been scraped clean; that there can’t be anything left to say. But Postcards from the Boys, published in a beautiful limited edition by Genesis Publications, will delight Fab Four connoisseurs and send writers scurrying to revise their biographies. 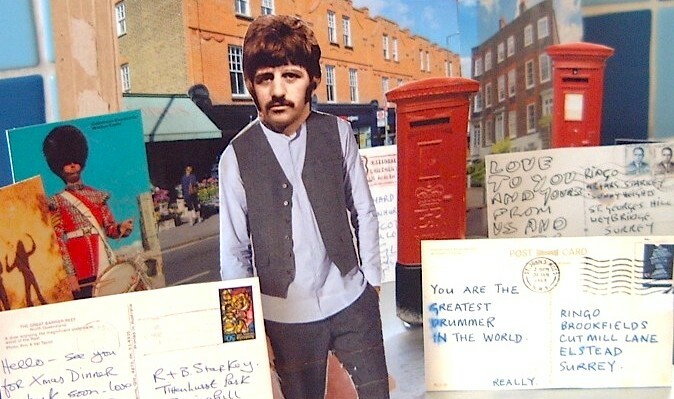 The gems include a card sent by Paul and postmarked “31 Jan 1969” (the day after the Beatles’ legendary final concert on that Savile Row rooftop), saying: “You are the greatest drummer in the world”; and a late-1970s card from John in which he advises Ringo to make “great & simple” disco-pop like Blondie’s ‘Heart of Glass’. Share the post "FROM ME TO YOU"